The Year 7 Literacy and Numeracy Catch-up Premium was allocated to schools to support all Year 7 pupils who did not achieve a Level 4 in either English (reading) and/or maths SATs at the end of Year 6. In 2018-19 the indicative grant for Harrow Way School is estimated to be £14,011. From 2016-17 onwards, the literacy and numeracy catch-up premium gives schools additional funding to support year 7 pupils who did not achieve the expected standard in reading and/or maths at the end of key stage 2. The expected standard is now defined as a scaled score of 100 or above in these tests (prior to this it was Level 4 or above). Employment of TAs’s to supervise paired reading project led by Year 10/11 students who support Y7 low readers. Use of the QLA in ASP (Analyse School Performance) to view key stage 2 performance by subject strand, by question and by individual pupils. This supports are targeted intervention even further. Part funding of a teacher’s salary to teach 7×4, a transition group of vulnerable students who are also below average on entry. They are taught in the same group for half the week – literacy/numeracy/humanities. Transition project based around Michael Morpurgo’s ‘Warhorse’. Reading intervention paired reading programme (Numeracy and Literacy catch up in tutor time). Whole school inset on areas such as questioning, metacognition and preparing for longer written responses in exams. Year 7 Parent event for catch up students to look at how they can support at home with English and Maths. Through PiXL membership we will use the PIXL timetable project to diagnose weakness, delivery therapy sessions and re-test for impact for those students who are unable to score 100/150 in the initial assessment. All students were assessed for reading and spelling ages to enable staff to better target support for them in lessons other than English and Maths, as well as establishing a baseline to assess impact. Literacy mats and dictionaries for all classrooms – Numeracy and Literacy activities in Tutor time. Use of Tutor Time (3x per week) for intervention using acceleread/accelerwrite (AR/AW) taking place 1-1 with TAs (20 x 20 minute sessions. Continuation of the Year 7 Parent event for catch up students to look at how they can support at home with English and Maths. Reading and numeracy intervention (staffing/resources). Curriculum spending to improve reading and numeracy (resources/training). Students in this target group are reviewed regularly by the class teacher (7X3/7×4 and the Year 7 Catch-up Premium intervention group. This information is collated in Termly Progress reviews updated and sent home termly. 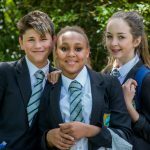 As a result of these interventions and continued excellent teaching and learning, the progress of these students has improved considerably over the course of Years 7 and 8. The following table shows the number of students who were below the expected standard which is now defined as a scaled score of 100 or above in these tests (prior to this it was Level 4 or above). The success of this intervention is reported termly to the parents of the students receiving support in terms of a termly report and to all parents through this annual report. Any parental queries regarding the Year 7 Catch-up Premium should be directed to Mrs German, Assistant Headteacher. From September 2016, the Literacy and Numeracy Catch-up Premium is to support all Year 7 pupils who did not achieve the . The expected standard is defined as a scaled score below 100 in these assessments. Targeted one-to-one and small group withdrawal tuition and support in English, Literacy and maths. Use of Key Stage 2 Question Level Analysis and GL Assessments to target key strands where students have under-achieved.